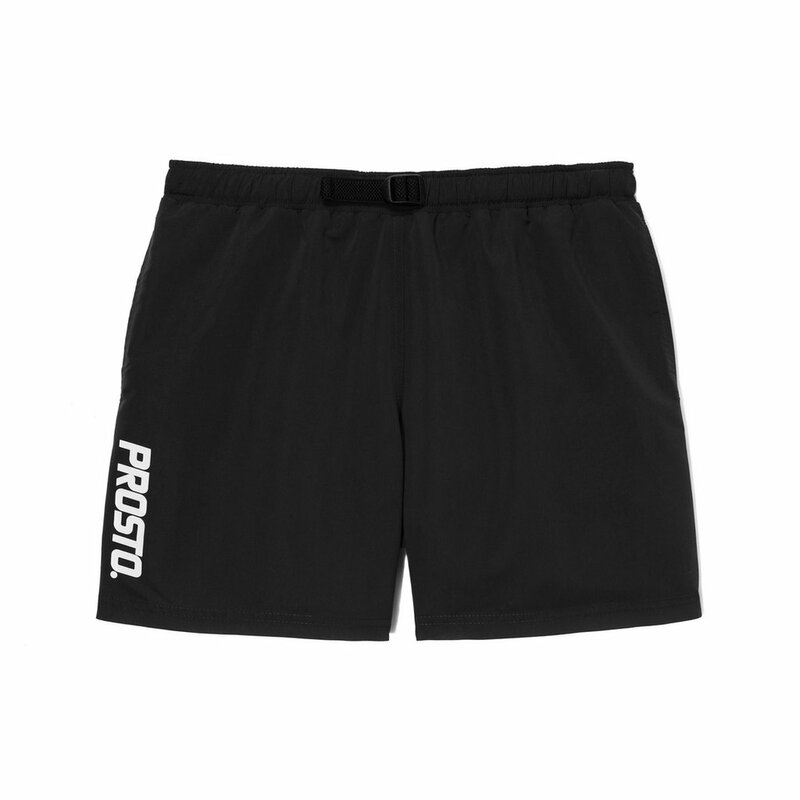 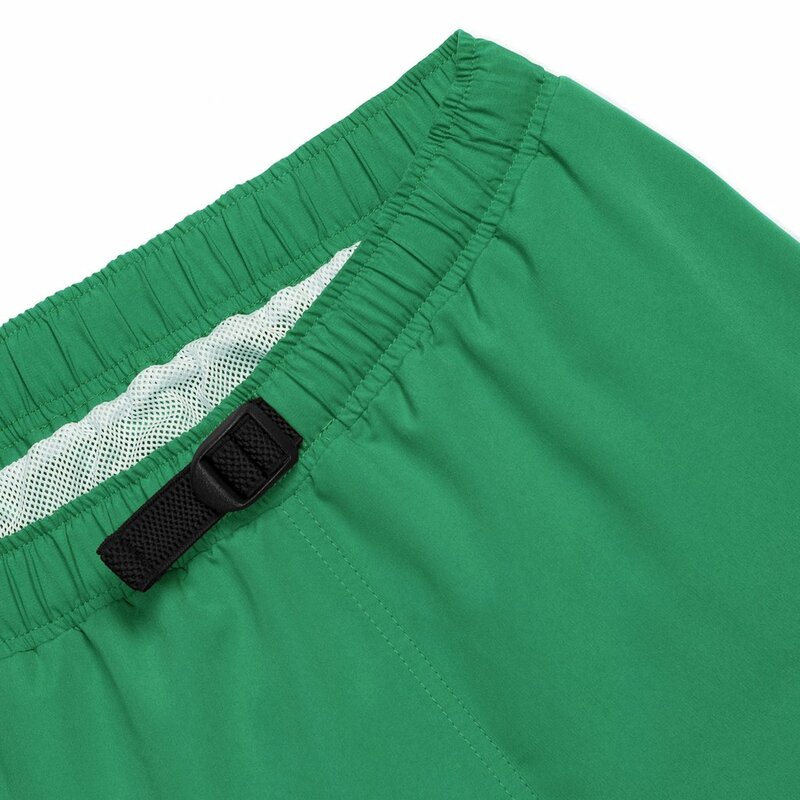 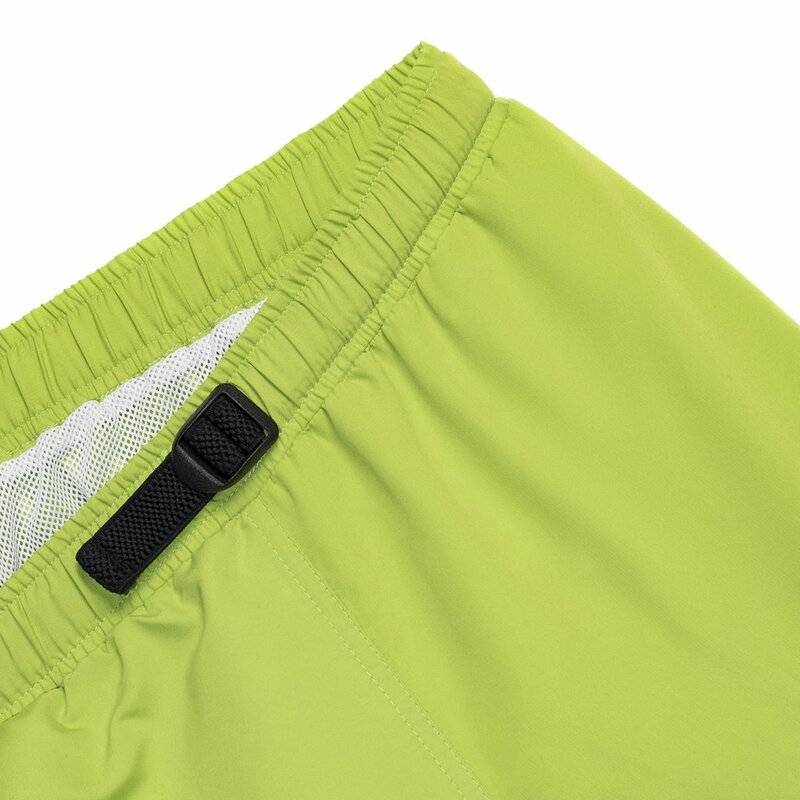 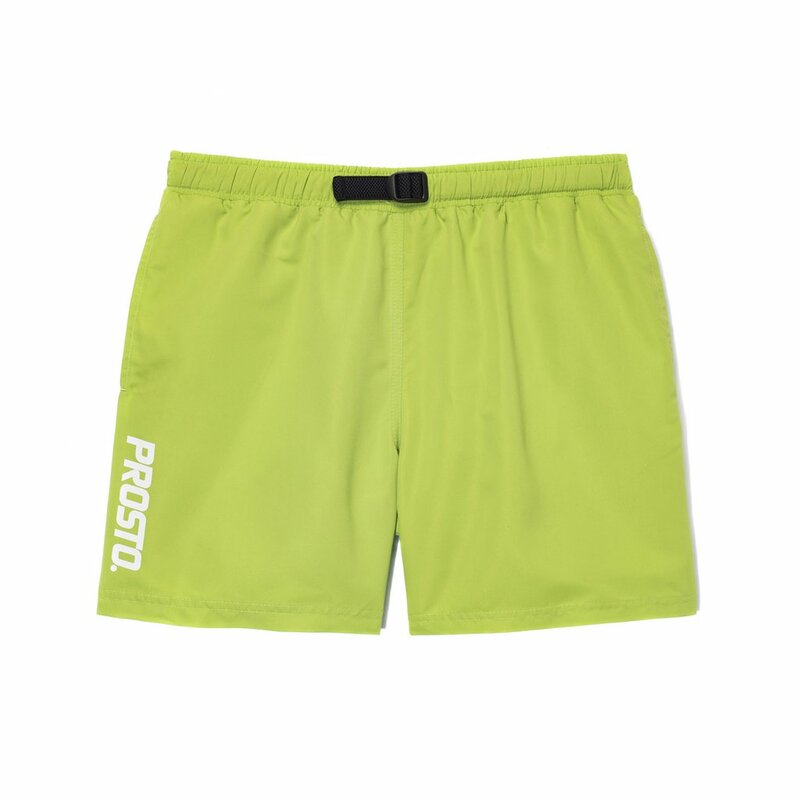 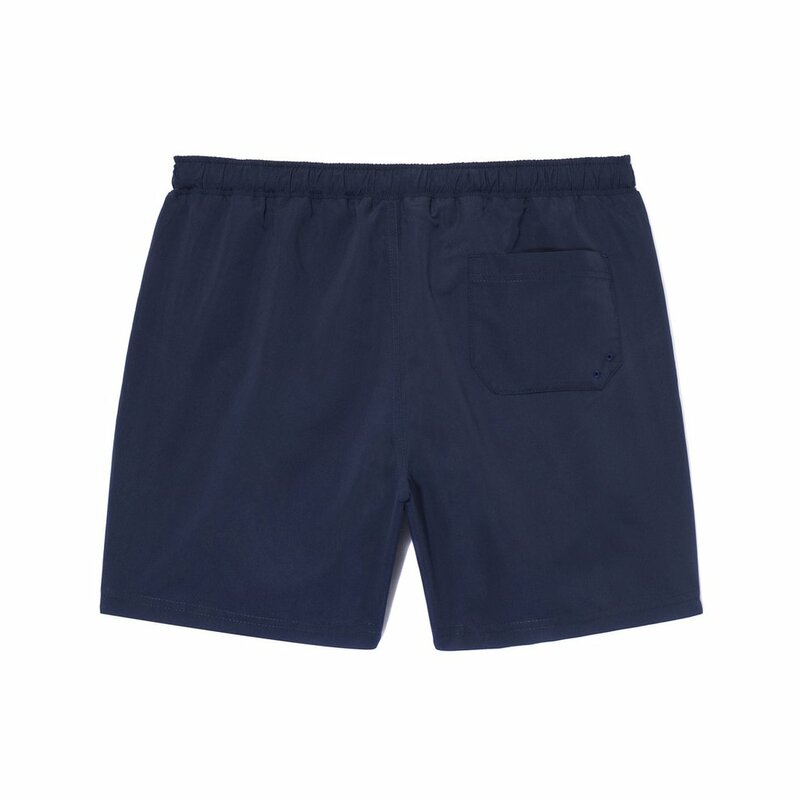 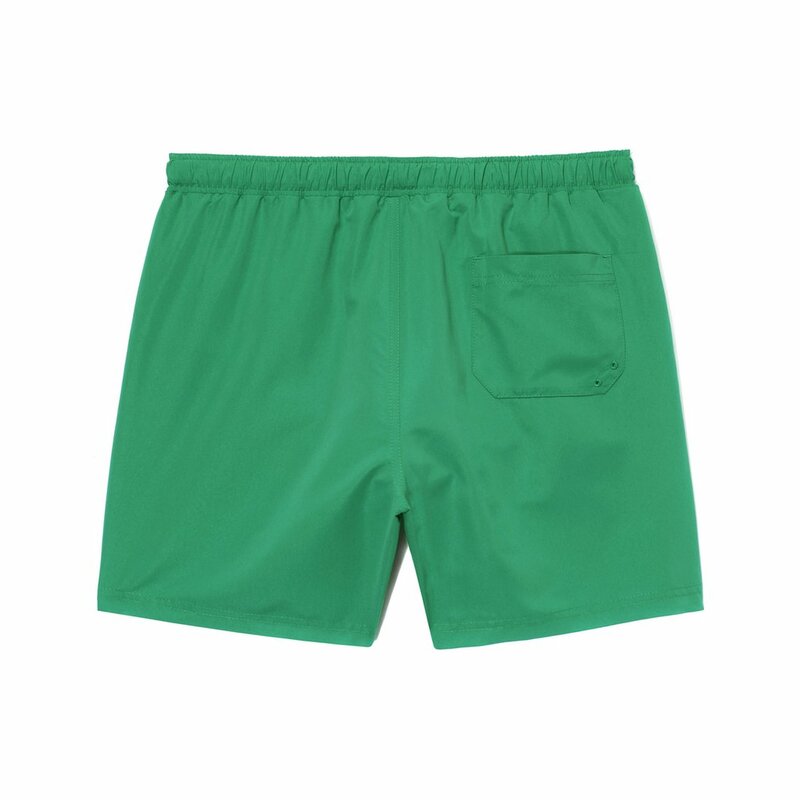 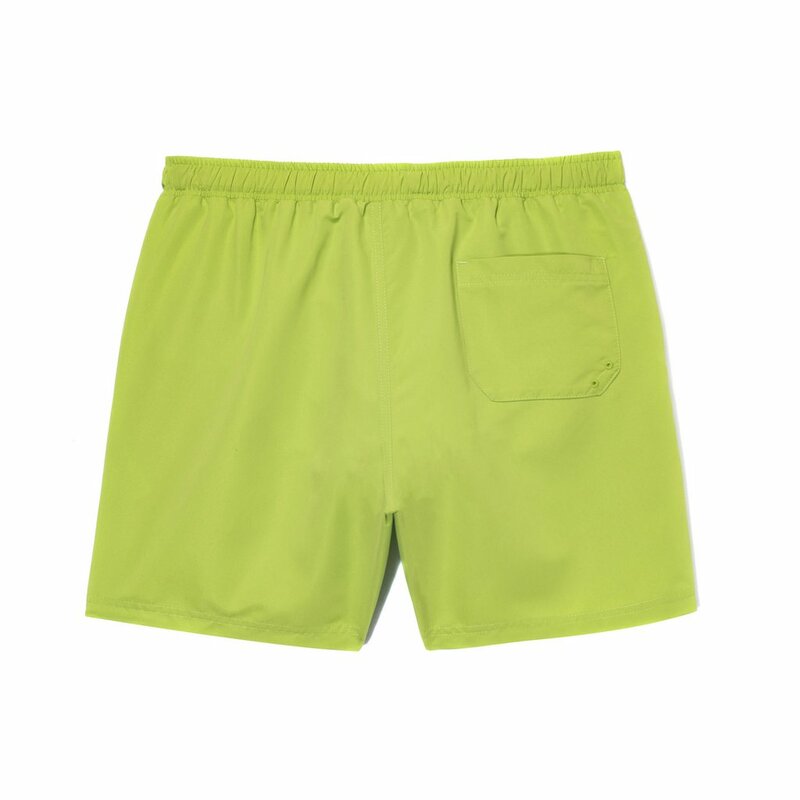 Men's polyester mesh swim shorts featuring velcro pocket on the back. 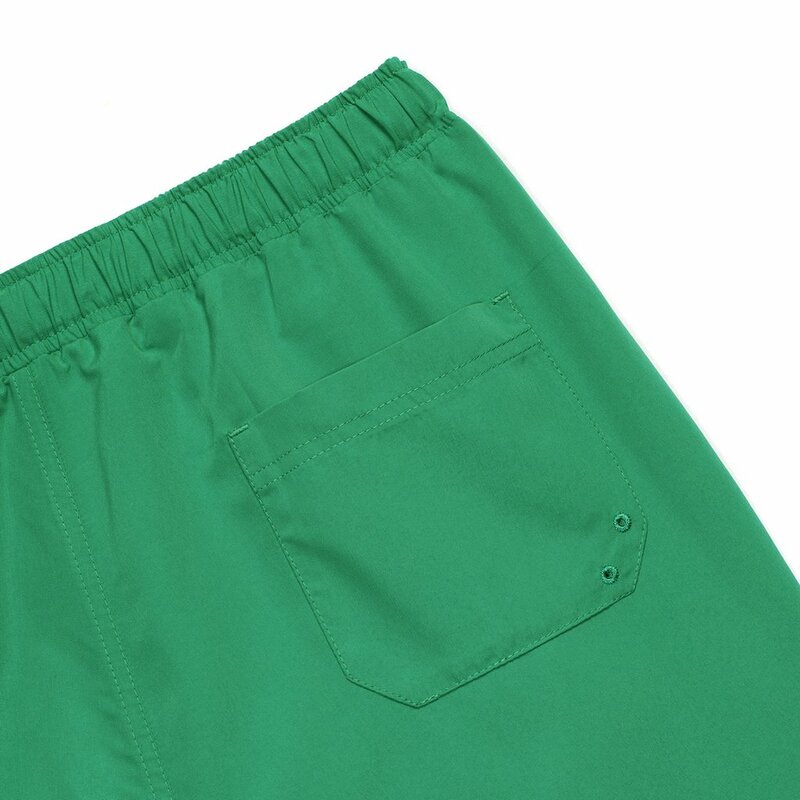 With plastic eyelets on pocket. 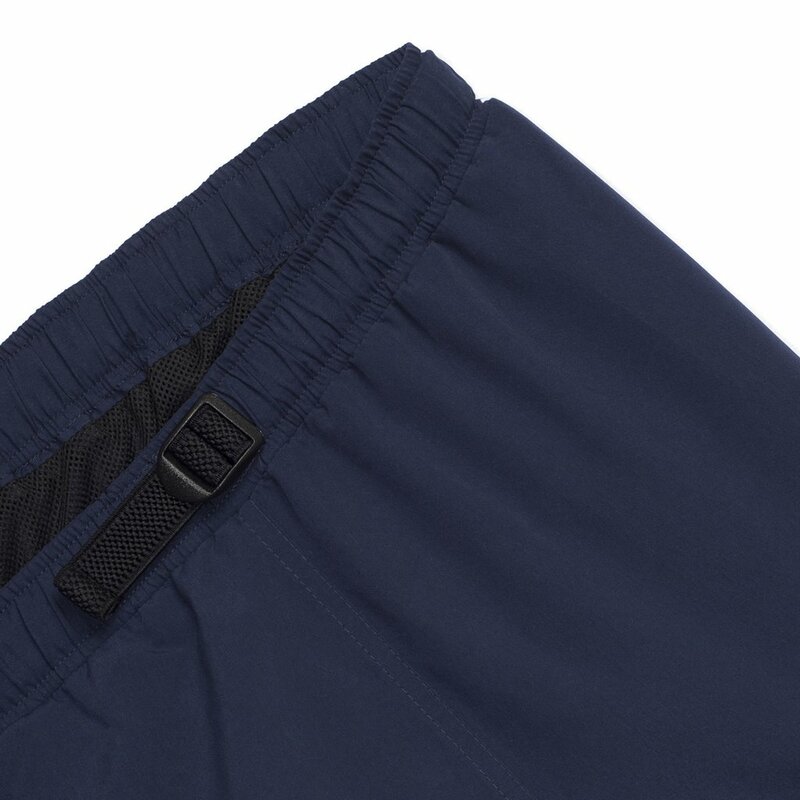 Adjustable strap and plastic buckle (like in 5-panel cap). 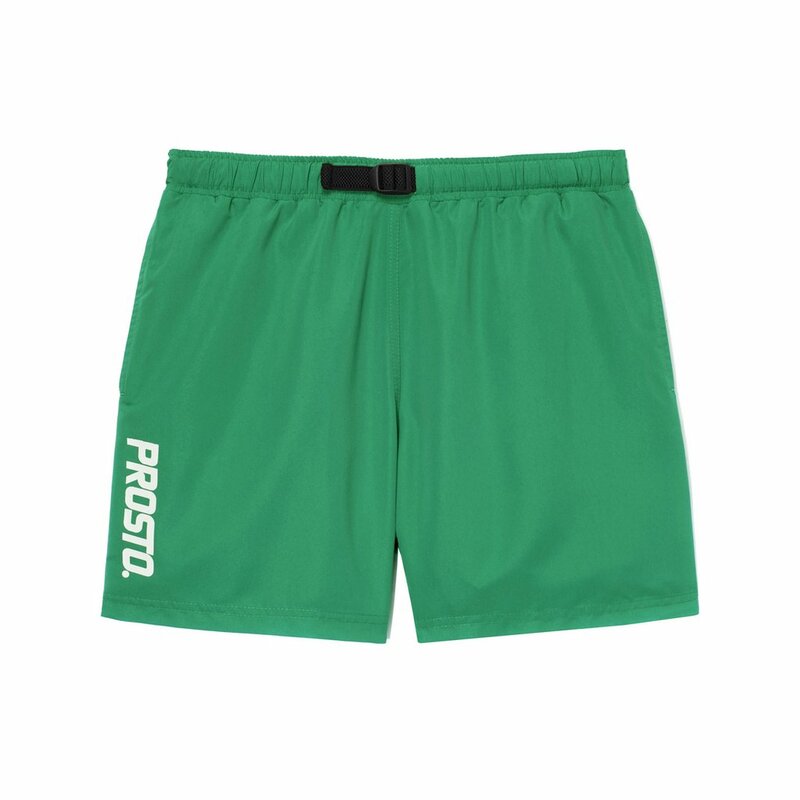 Silk screen logo on leg.